Corydoras panda common name panda cory cat are a small bottom feeding fish. They only grow up to 4-5 cm / 2 inches fully grown. They live in water parameters of PH range 6.0-7.5, temperatures of 22-26 Celsius / 72-79°F. 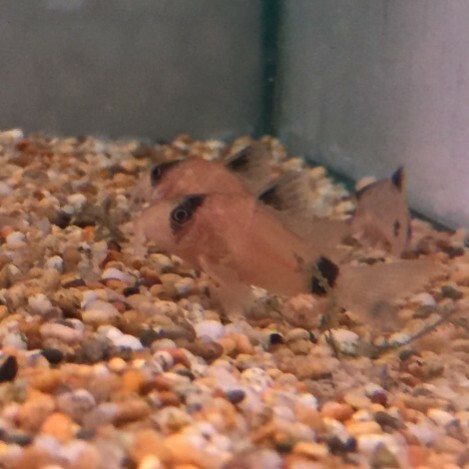 Panda corys are lovely peaceful small growing bottom feeding fish. As they only stay small sizes they mix well with small community fish. The panda cory is one of the more delicate cory cats, so they need very good water to keep them happy and healthy. As they are a bottom feeding fish the do require sinking foods, so catfish pellets, granular foods. They do like a bit of live or frozen foods like bloodworm but this is a treat for every now and then. Panda cory catfish are bottom feeding fish. The food needs to sink to the bottom of the tank for them to feed. They are only small cat fish so really only require small size food. 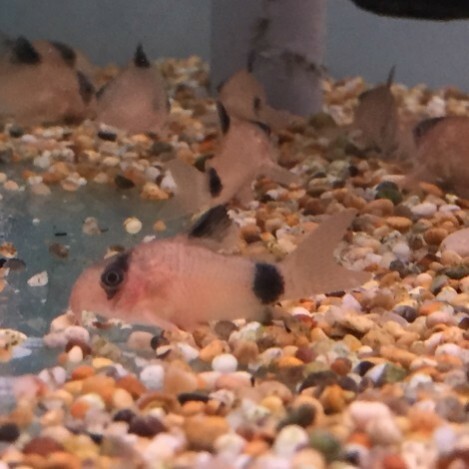 Panda corys only need feeding once a day at the most.